through conservation of biodiversity and forest landscapes. It will be implemented in five states viz. Madhya Pradesh, Mizoram, Odisha, Rajasthan and Uttarakhand. The project is being funded with US $33.5 million grant from Global Environment Facility (GEF). It aims to transform agricultural production to generate global environmental benefits by addressing biodiversity conservation, land degradation, climate change mitigation and sustainable forest management. It strives to bring harmony between conservation and development efforts of the country. 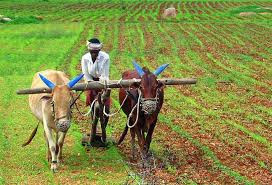 Agriculture along with its allied sectors, is the largest source of livelihoods in India, with 82% of country's farmers being small and marginal. Existing unsustainable agricultural practices have resulted in depletion of water tables, biodiversity and habitat loss for wild species and land and soil degradation which have contributed to the environmental crisis in India. To overcome it, there is a need for alternative paradigm to current extractive methods of agricultural production systems. Scientific research is need of time to focus on achieving greener landscapes along with efficient and effective resource use. Moreover, any effort to increase farmers income and food production must be within the framework of sustainable management of natural resources to avoid environmental degradation. It is the specialised agency of UN that leads international efforts to defeat hunger. It was established on 16 October 1945 and its headquarters are in Rome. It has 194 member states, along with European Union (member organization). It is a multilateral financial mechanism that provides grants to developing countries for projects that benefit global environment and promote sustainable livelihoods in local communities. It was established on the eve of 1992 Rio Earth Summit to help tackle our planet's most pressing environmental problems. It is based in Washington DC, United States. It addresses six designated focal areas: biodiversity, climate change, international waters, ozone depletion, land degradation and Persistent Organic Pollutants. Q. Union government (Agriculture and Environment ministries) along with which UN body has launched an agriculture project that seeks to bring transformative change in the farm sector through conservation of biodiversity and forest landscapes?